Home > Old World Christmas - Traditional Glass Christmas Ornaments > Old World Christmas Glass Ornament - "Toolbox"
From construction sites to do-it-yourself projects, a toolbox is a true necessity. Toolboxes organize, carry and protect tools. 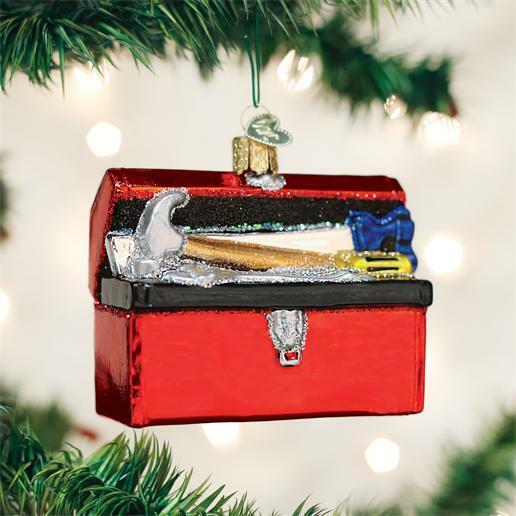 The toolbox ornament makes a great gift for a favorite builder, craftsman or handyman who will undoubtedly cherish the memories of building, repairing and helping each year as they hang the ornament on their Christmas tree.